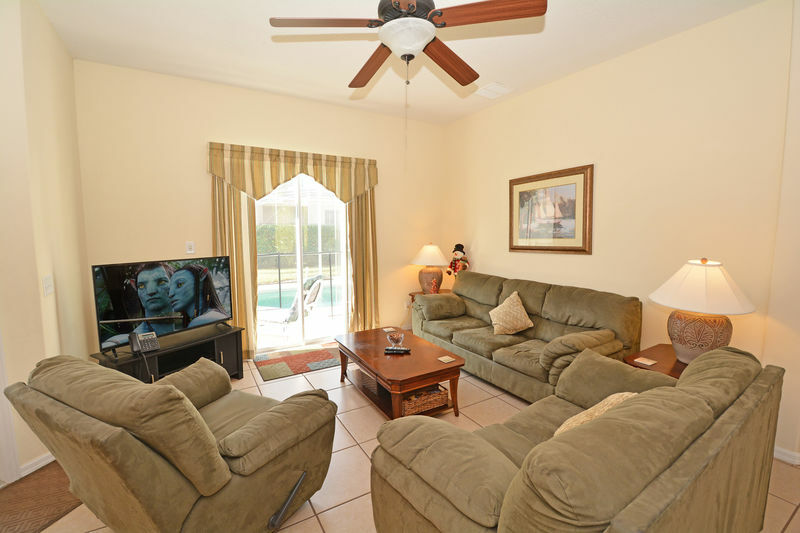 This is a beautiful and luxurious 4 bedroom villa with 2 master suites, 2 further twin bedrooms and plenty of space for everyone to spread out and relax. 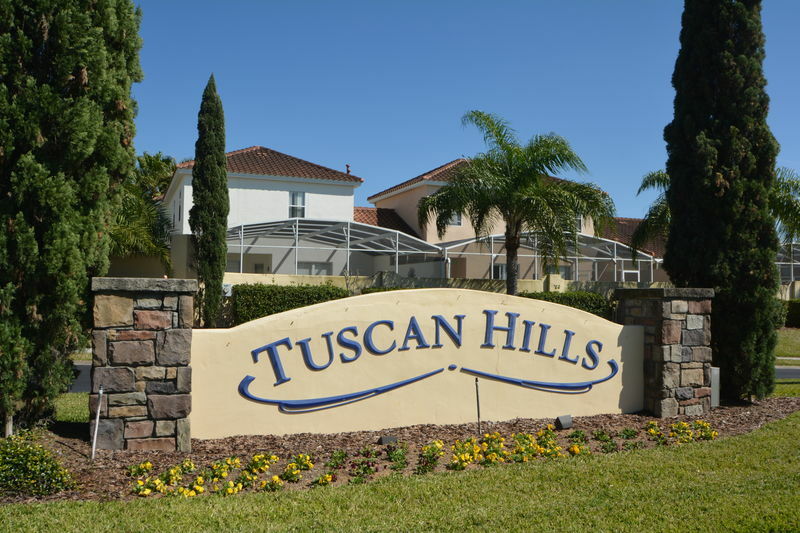 Tuscan Hills is a 24/7 gated community with on-site clubhouse featuring games room, internet room, TV room, fitness center, children's play area, tennis courts and beach volleyball court. 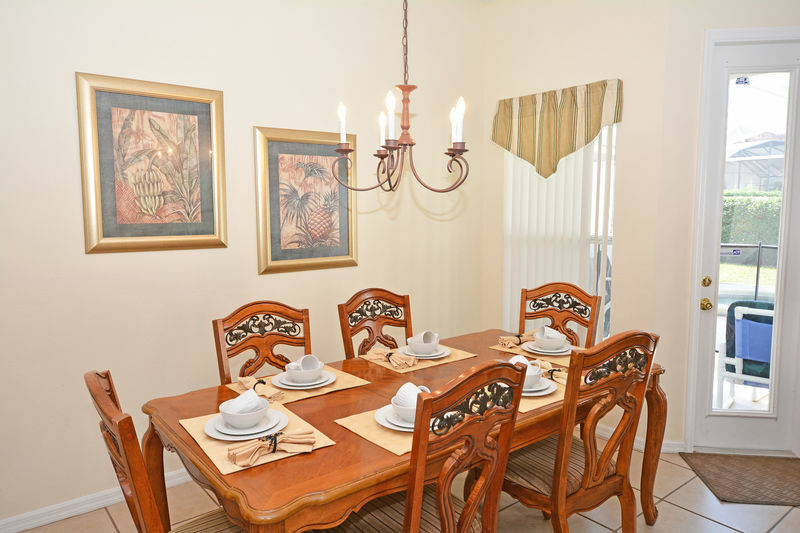 The house is nestled between two others in a quiet cul-de-sac road and has been furnished and decorated to a very high standard. 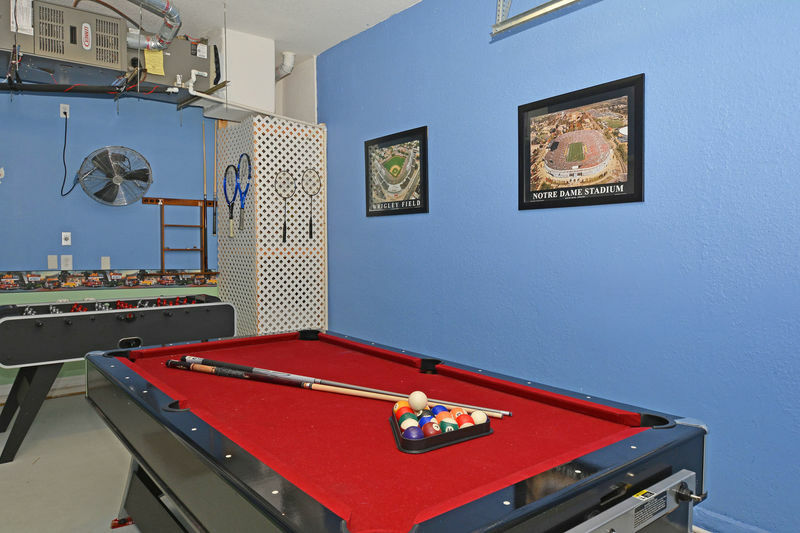 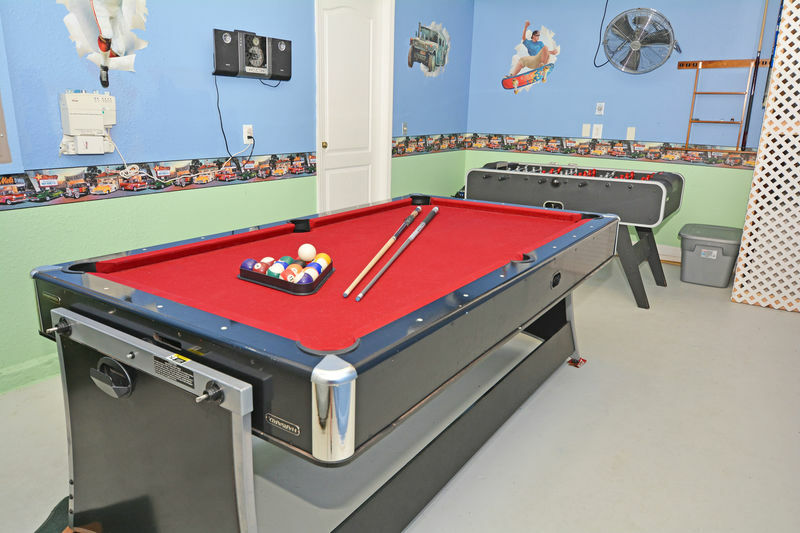 Upon entry there is a half bathroom with basin and toilet and this leads to the laundry area and a single garage which has been converted to a games room with pool table and air hockey table. 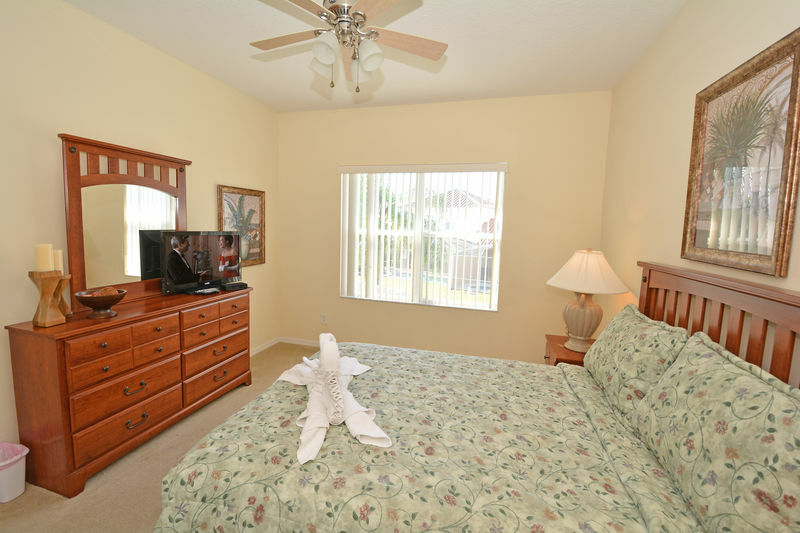 There is a wall mounted CD player and a fan for comfort. 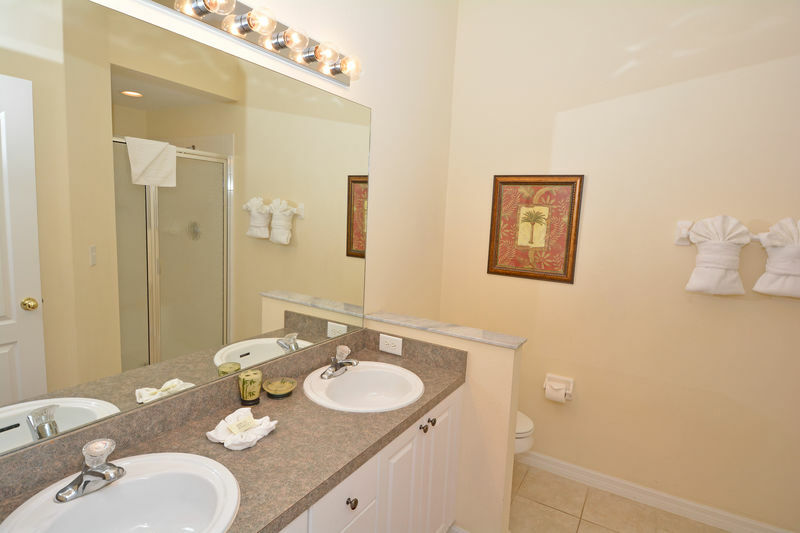 Moving through the main house there is a fully equipped kitchen which has an electric hob/oven, microwave, dishwasher, double sink with disposal unit, fridge/freezer with water/ice dispenser and bar seating for two people. 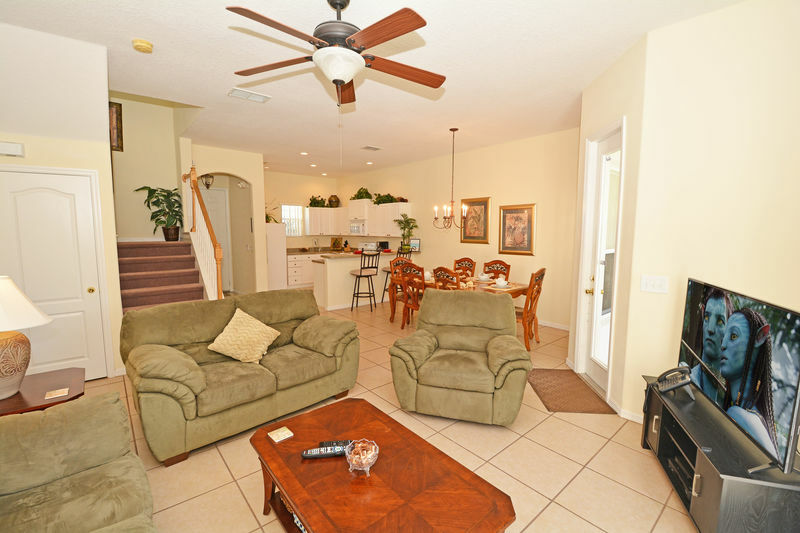 There is a dining table seating 6 and a comfortable lounge area with a 3 seater sofa, 2 seater sofa and armchair recliner, large flatscreen TV with cable and patio doors to the pool area. 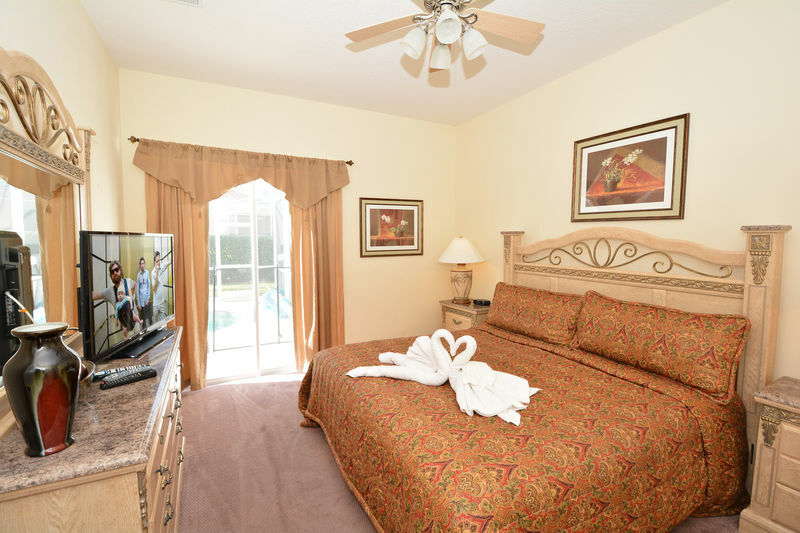 One of the master bedrooms is also downstairs and this has a sumptuous king size bed, patio door to the pool area, flatscreen TV and en-suite bathroom with double basins, toilet and glass shower. 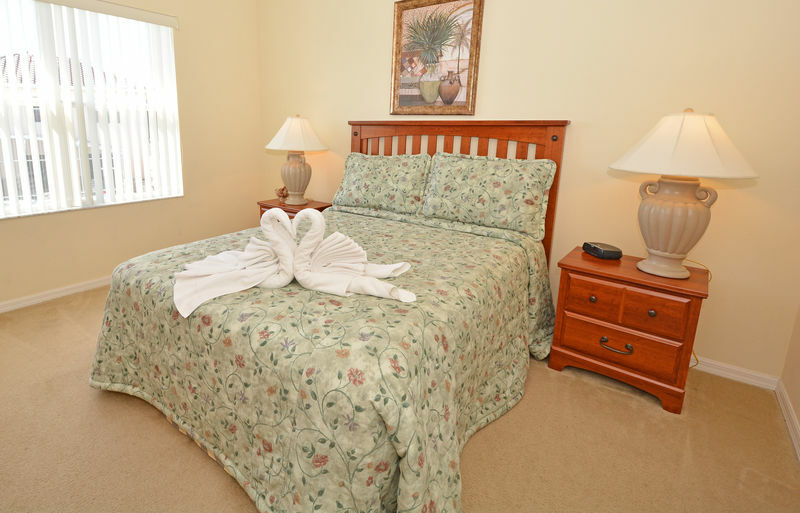 The remainder of the bedrooms are upstairs including the second master which has a king size bed, flatscreen TV and en-suite bathroom with single basin, corner tub, separate shower and toilet. 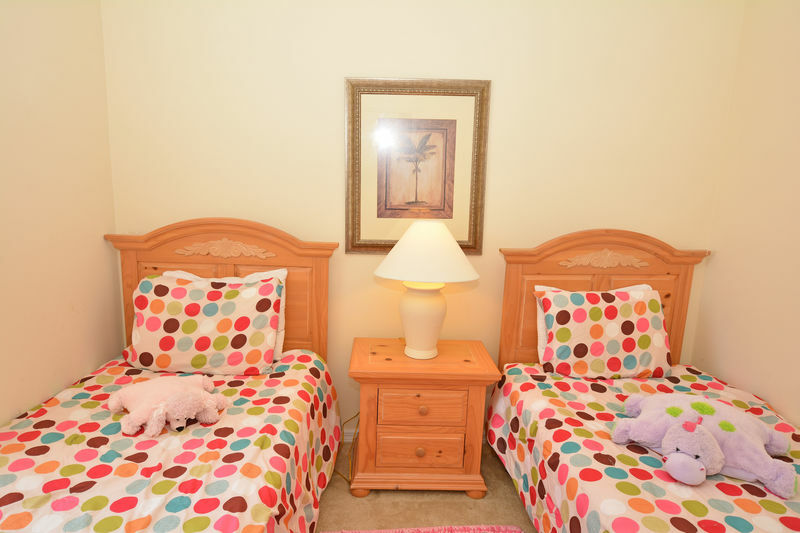 Bedroom 3 has twin beds with a bright polka dot theme, flatscreen TV and double closet. 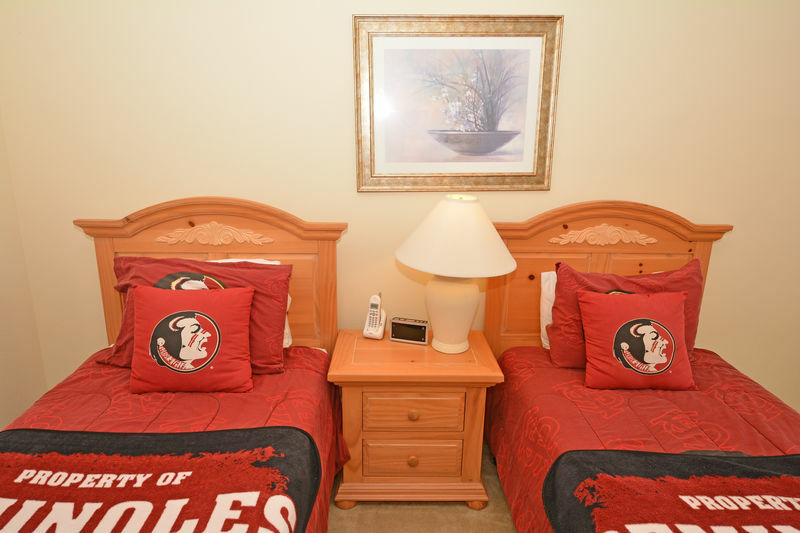 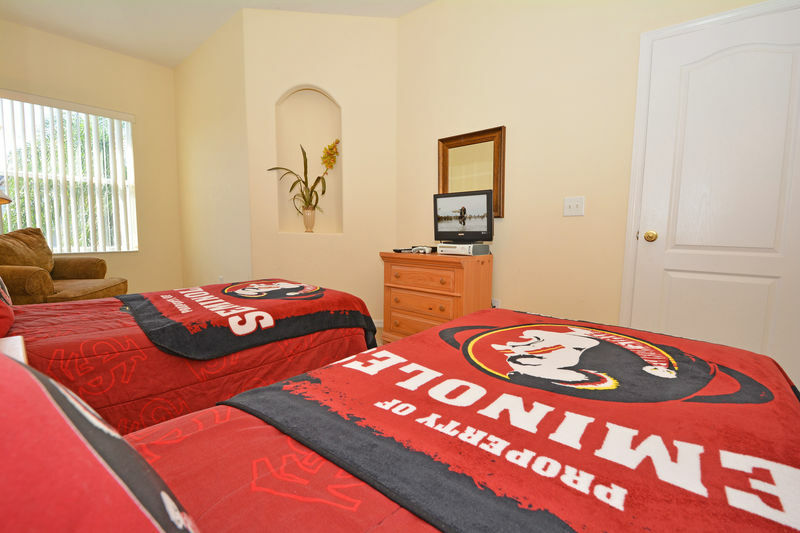 Bedroom 4 has twin beds with a Florida Seminoles college football theme, armchair, flatscreen TV and an Xbox with 2 controllers and a selection of games and DVDs. 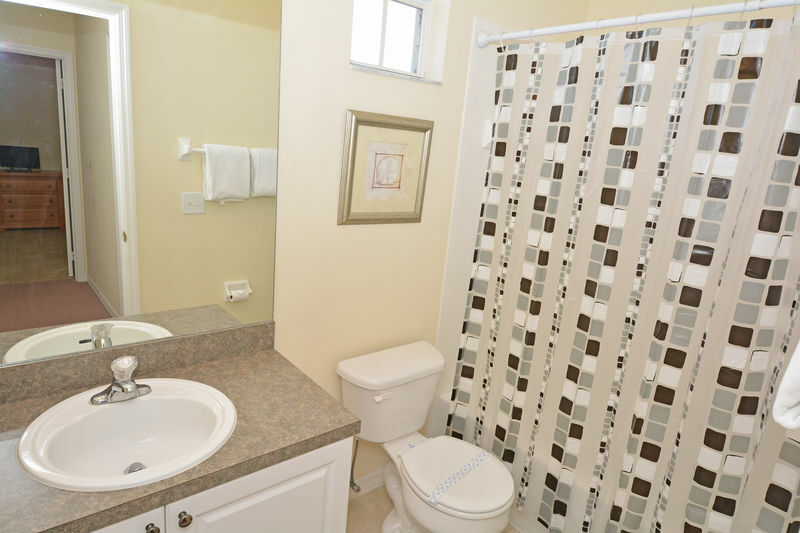 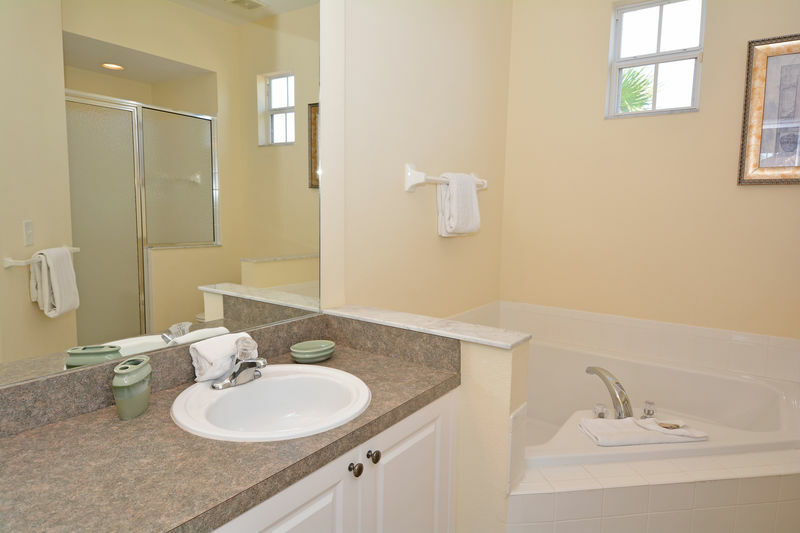 There is a family bathroom with bath/shower, basin and WC. 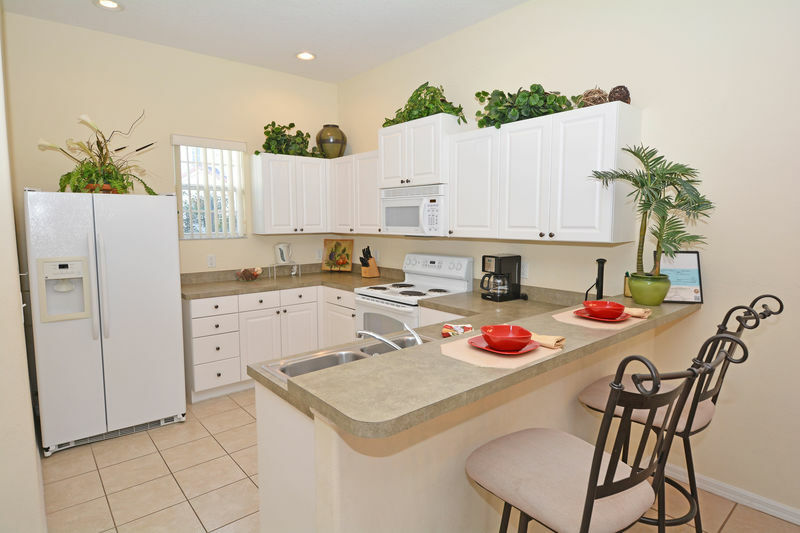 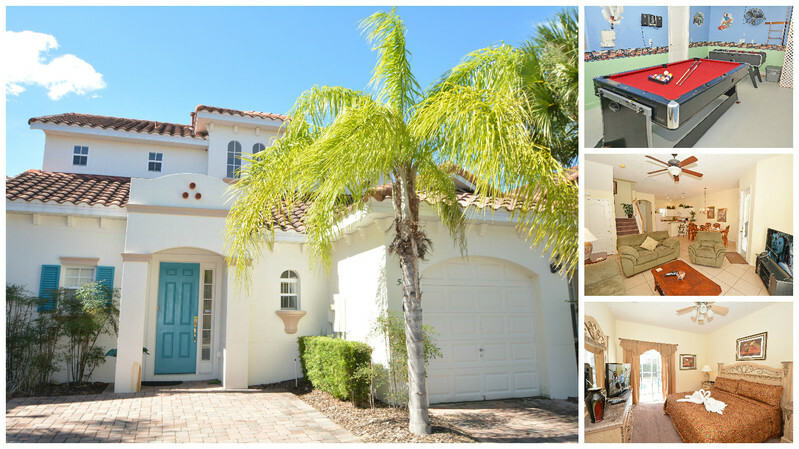 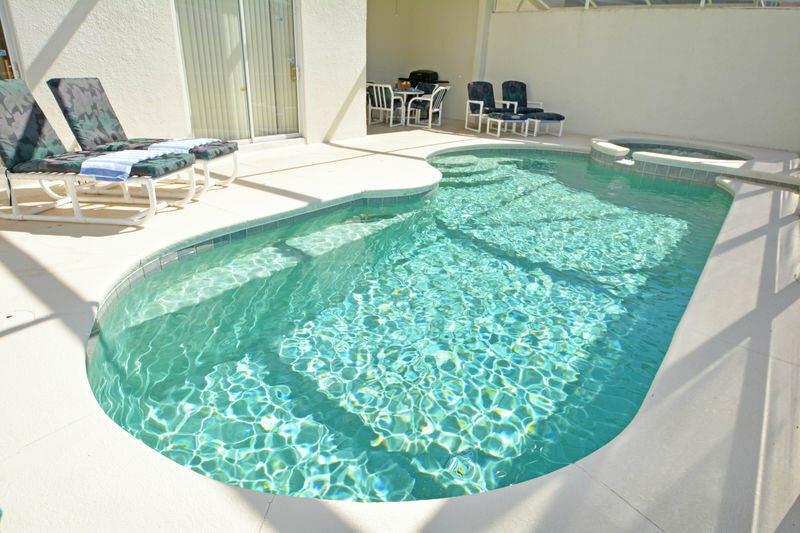 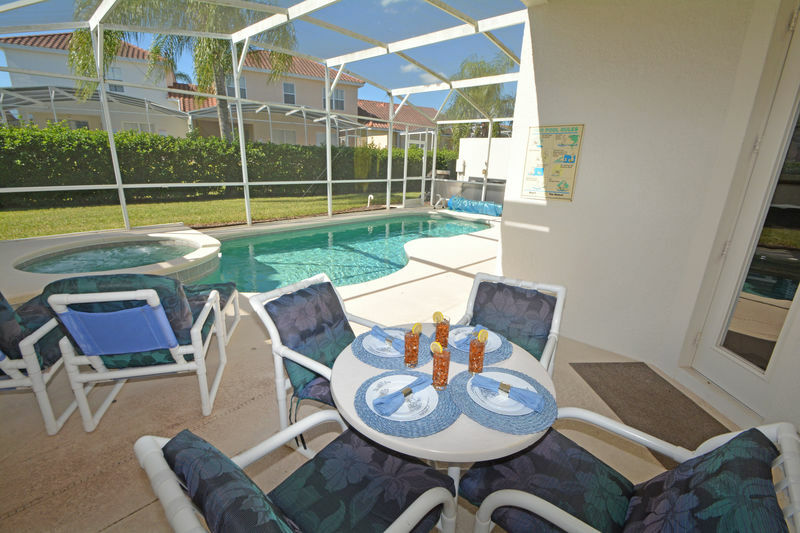 Outside there is a fully screened in pool and jacuzzi with sun bathing deck, a shaded lanai area with patio table seating 4. 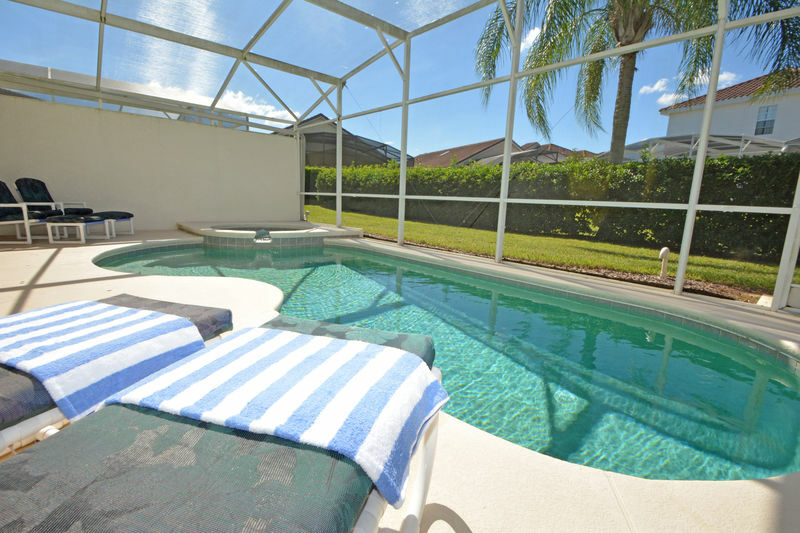 There are two further chairs with footstools, two sun loungers and the pool also has a solar cover to help keep it warm. 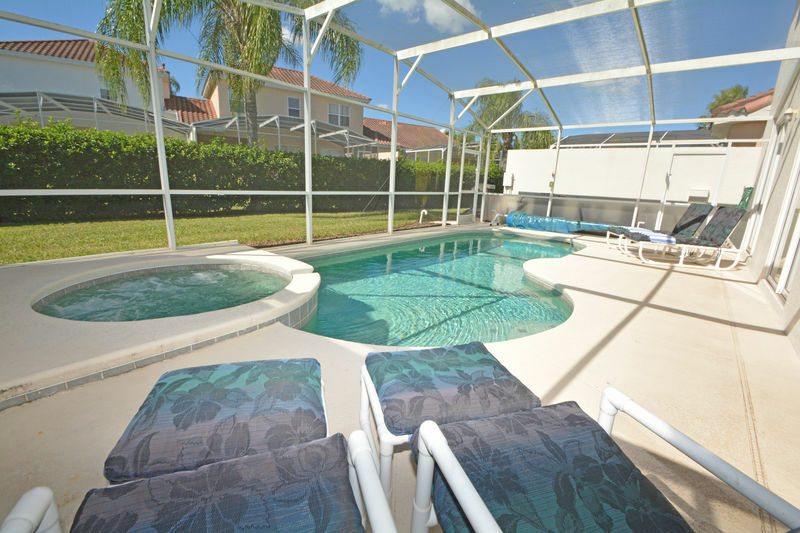 The pool area is flanked both sides by walls and has a hedge to the rear so has a good deal of privacy. 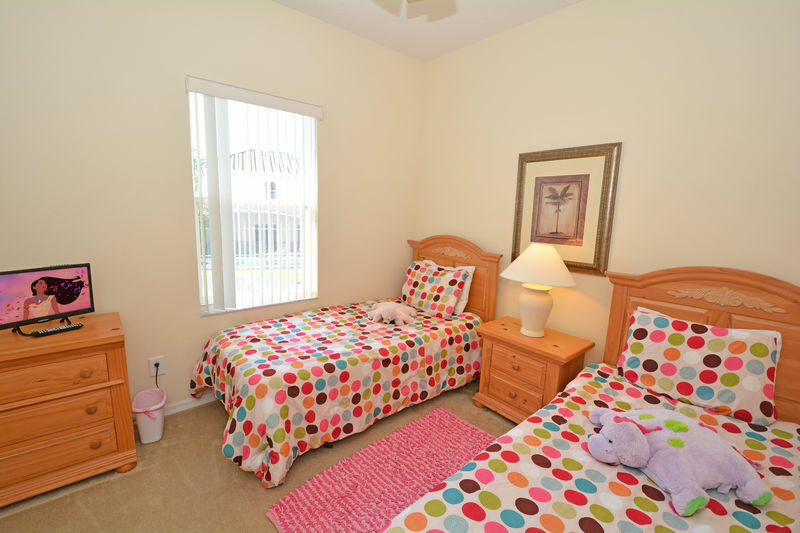 There are restaurants, grocery store, gas station, banks, English pub and take-outs within a 5 minute drive, the Posner Park open air mall is within a 10 minute drive and the Disney attractions are only 15 minutes away and easily accessible via the US-192.